Amalfi, a small town once a naval power with famous Duomo dedicated to St Andrew and nearby Ravello perched on a rock some five miles from the coast are both favorite romantic bases to explore the area from. 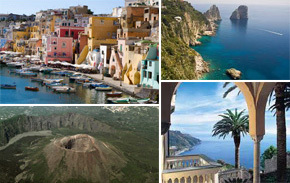 Here is the list of the best sites to explore with most interesting Amalfi/Ravello day trips options below. 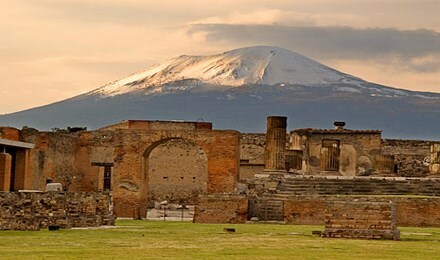 Pompeii, the most famous ancient city preserved. 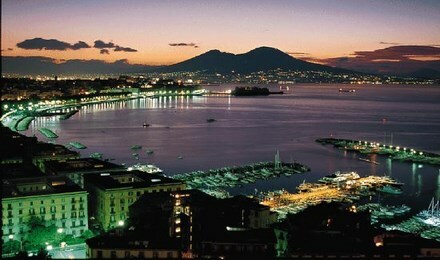 Visiting it is like taking a time machine back to times of Julius Cesar and Augustus. It gives you a perfect picture of how life must have been two thousand years ago. 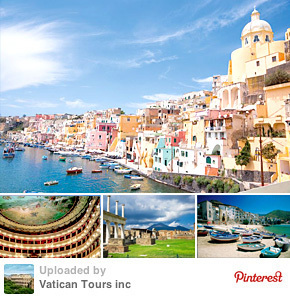 Positano, a resort village with breathtaking location and a nice beach. 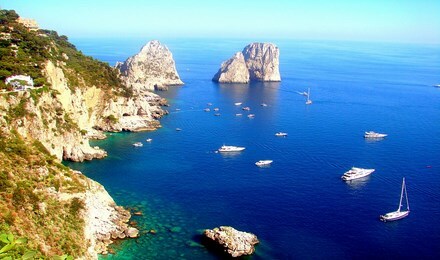 Capri, an island with stunning views, glamorous hotels and chic boutiques, reached by boat from Amalfi pier.